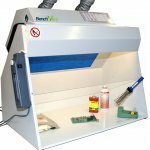 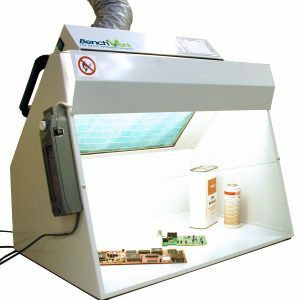 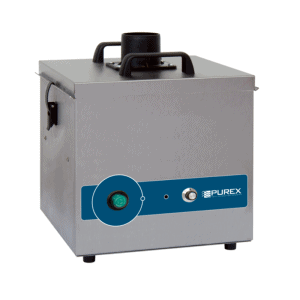 The BV250-A Fume Filtration with Two Arms Extraction Unit is primarily designed to extract fumes during soldering. 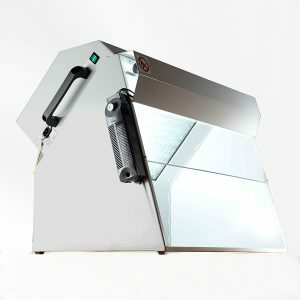 It is a two-user unit, and comes supplied with two extraction arms, allowing both operators to use the machine simultaneously. 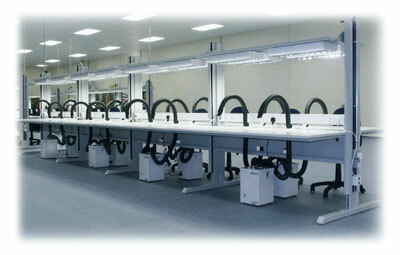 It is a vital equipment within the electronic design, rework, design and technology areas. 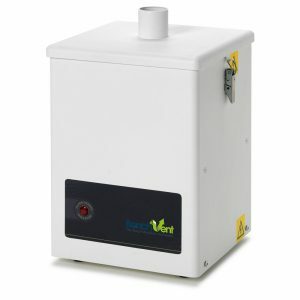 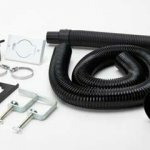 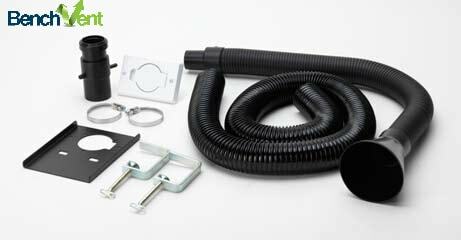 Why choose the BV250-A Fume Extraction System? 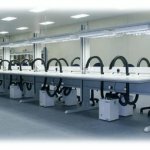 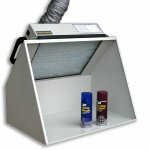 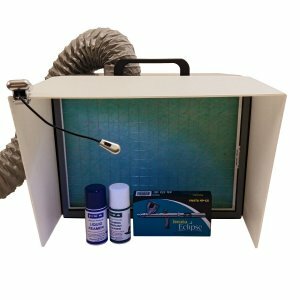 How does the unit filter away harmful solder fumes? 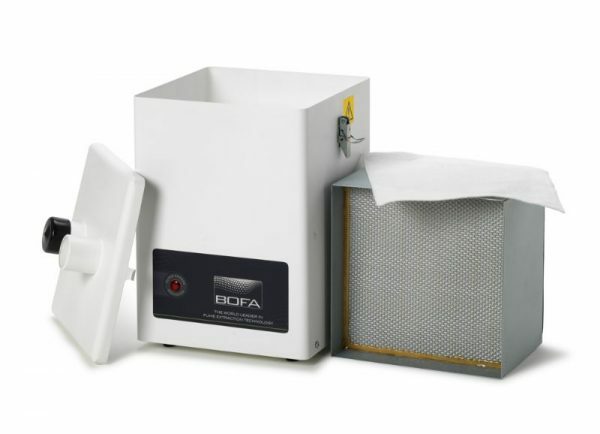 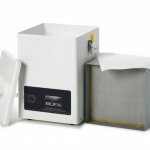 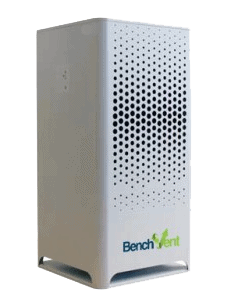 The particulate (intake) filter is a 99.9997% HEPA filter to 0.3 micron. 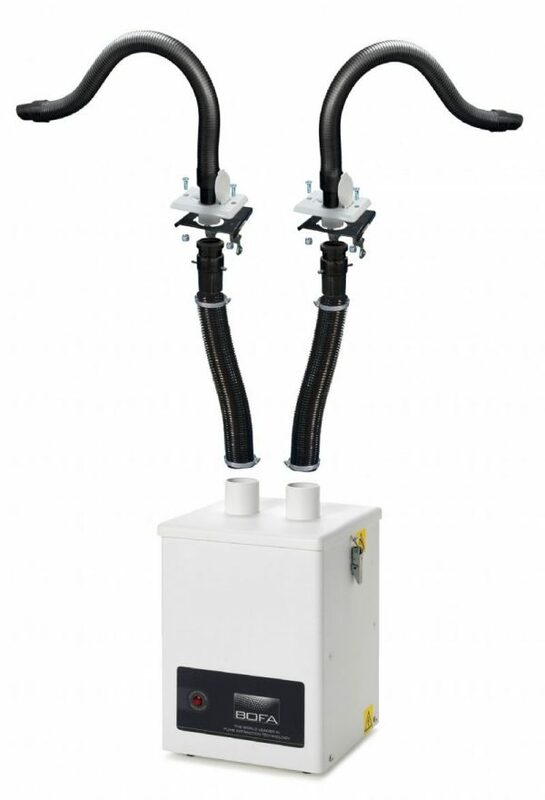 Gas filtration via deep, granulated, carbon gas filter. 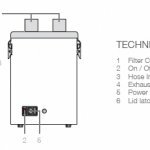 The unit also benefits from a blocked filter indicator to facilitate correct filter change times to maintain efficient filtration. Through the process of filtration, adsorption and dilution, operator exposure to potentially hazardous substances is vastly reduced or eliminated. 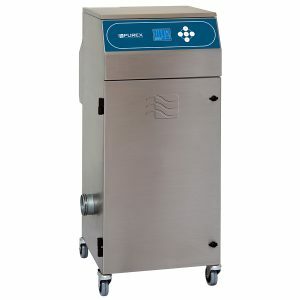 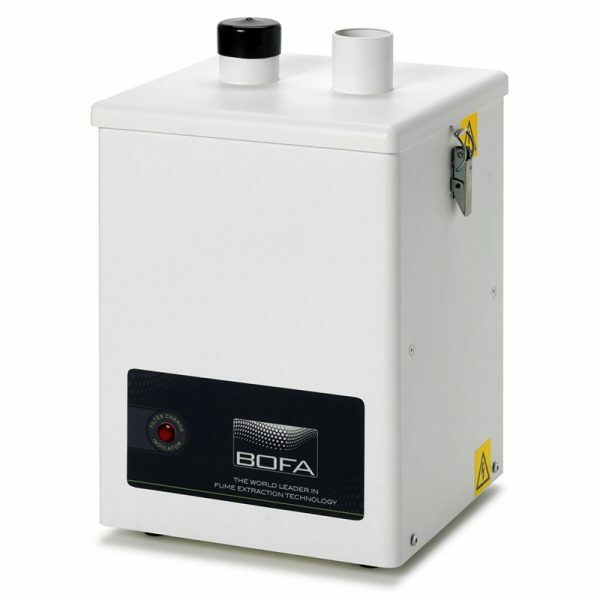 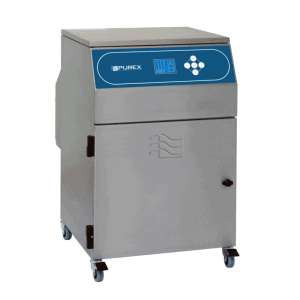 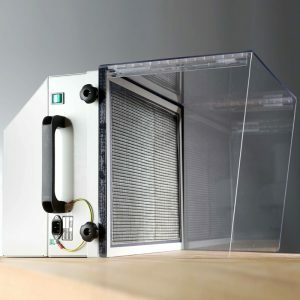 This unit is designed for immediate operator protection from concentrations of airborne contaminants whereby all fumes and particulates within the arm enclosure are filtered and cleaned air is exhausted through the base of the cabinet. 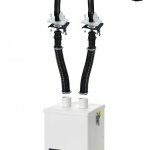 Steel construction fan/filter unit finished in white – Floor mounted fan/filter unit – Centrifugal fan motor – 2x50mm ESD stay put extraction arms – 2x3mtrs x 50mm installation flexi tube – table bracket – flip top flush sealing mounting plate – Filter Blocked indicator.